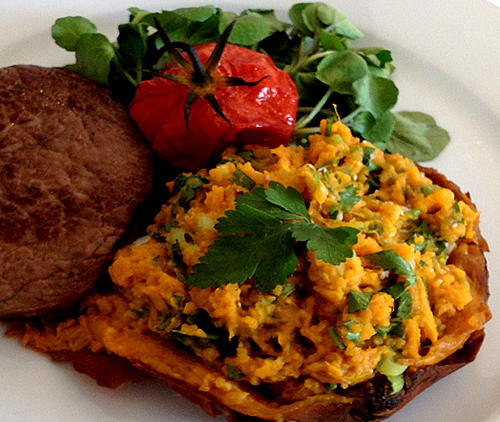 This sweet potato mash works with any dish you would usually have potatoes with. And instead of serving a side of starchy carbohydrates, you’re getting a healthy serving of slow-release, complex carbohydrate instead. Add the chopped spring onion and parsley to the potato, mix thoroughly and season with sea salt and pepper if required. Transfer the potato skin to your plate and fill with the mashed potato mix.